In a win for home-grown business, Sleepless City Coffee Roasters held a soft open at its new location on the intersection of Ruthven and Stenner Sts in Kearneys Spring. Owner Tim Burstow said the opportunity presented itself while he was travelling overseas, and he immediately pounced. "We were happy with one shop and then this fell into our lap in June while we were in the United States," he said. "We just thought it was too good to be true so I asked the landlord here and he said he wanted to convert it into a drive-through and we told him we wanted it. "We didn't want to do the same thing as our other store; we wanted to really utilise a lot of the natural light that comes in here and have a fresh take." 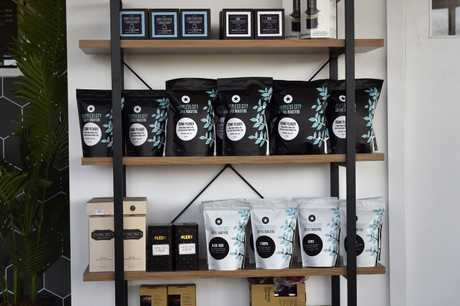 On top of offering coffee roasted in Toowoomba, the store also sells its beans by the bag and brews its own kombucha and coffee-flavoured soft-serve ice-cream. Mr Burstow said he was proud of what separated his business from the litany of other coffee shops. "We want to build our brand with our coffee beans, and we're the only local roaster in town, which is a big part of what we do," he said. "We do pods for coffee machines (and) we teach people how to make coffee as well." 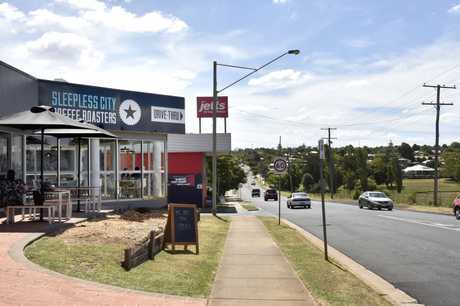 Sleepless City Roasters also doubled its overall workforce to 10 to cater for the new shop. Raine and Horne agent Nick Koenig said the site, previously occupied by Subway, had generated plenty of interest from potential tenants. "The owner of this property and was quite keen for something to happen," he said. "This is obviously a popular part of town with the neighbouring businesses and it's a pretty prominent location. "I spoke to a couple of corporates who were interested, but Tim jumped at the chance." The new store is open seven days.